These propellers are for use with engines such as Briggs & Stratton, Rotax, Cuyuna, Tecumseh, Hirth, Yamaha, Kawasaki, Onan, Wisconsin, Kohler, Honda, and many others. Arrowprop can help with all your propeller needs. Building a bowfishing rig, an ice sled, or an air drive? Arrowprop can help you determine exactly what you need, from horsepower to diameter and pitch of the propeller. HIGH PERFORMANCE PROPELLERS offer increased performance and smoother operation on engines that turn faster than 4000 RPM. 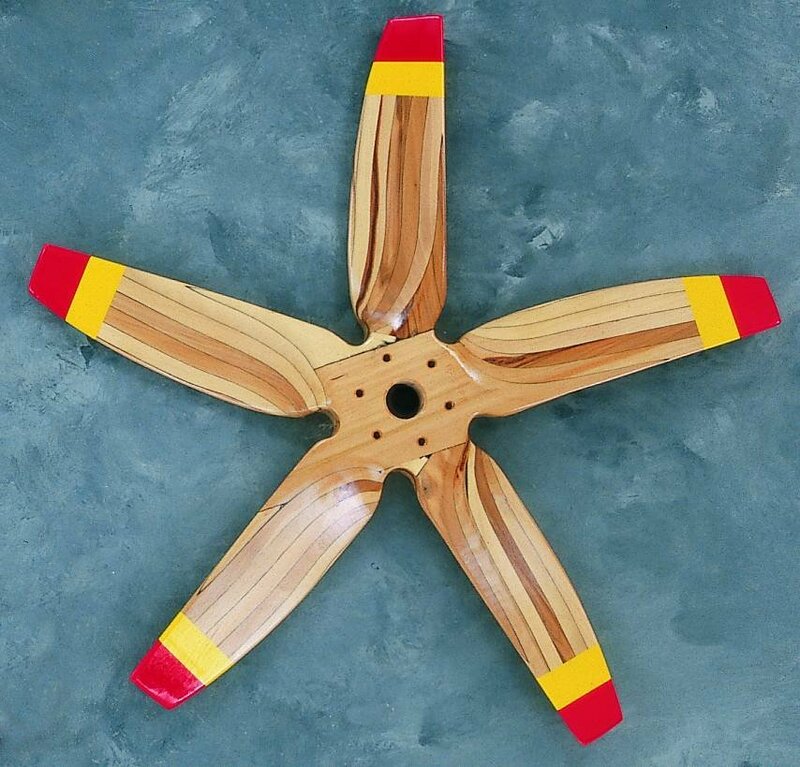 THREE BLADE PROPELLERS are the most popular because of their low noise and smoother operation. WIDE BLADE FOUR BLADE LIFT FANS are ideal for use as low cost hovercraft lift fans. 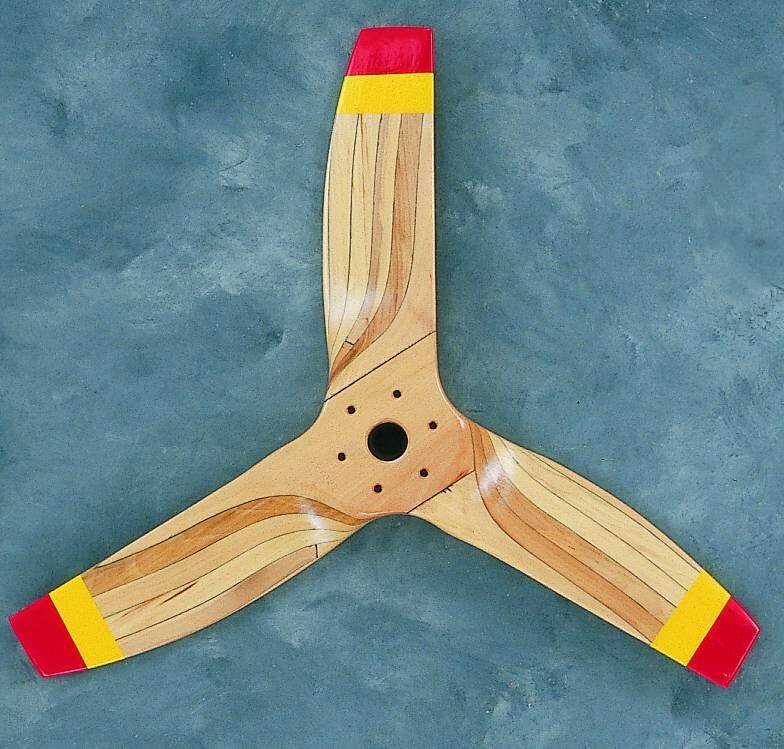 FIVE BLADE PROPELLERS are specially designed for pushing heavy weights. SIX BLADE AND EIGHT BLADE FANS are used with hover craft as lift fans. They are also used in industrial applications requiring maximum air volume under pressure. 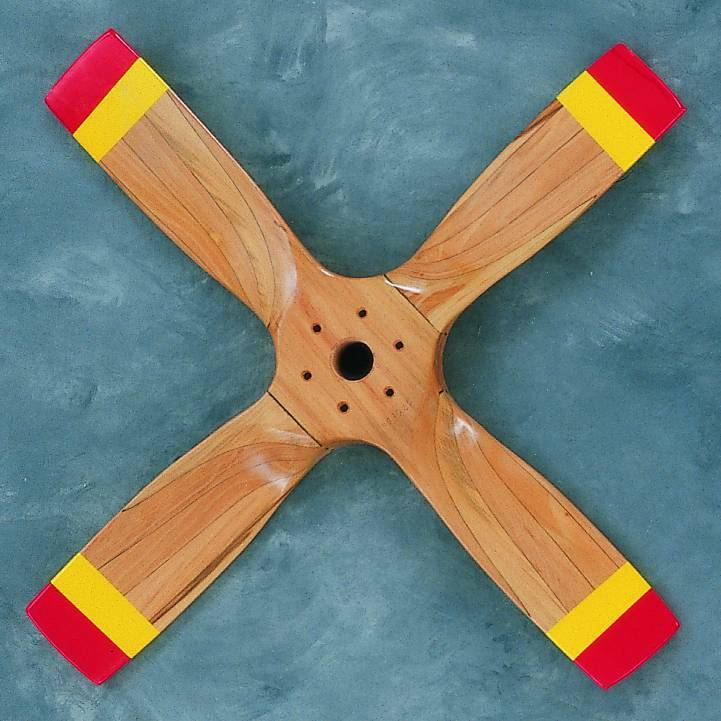 The above propellers have a hub thickness of 1-3/4"
At Arrowprop, we can supply any diameter and pitch propeller. Write or phone us for prices of propellers with thicker hubs and for any size not listed. If you do not know you requirements, let us help. We can supply any diameter and pitch propeller. Leading Edge Tape - For low cost protection to the leading edges of your propeller, we offer vinyl leading edge tape from 3-M. this tape protects your propeller from sand and moisture. To order add $15.00 to each propeller blade. Graphite Leading Edges - For the very best leading edge protection, order our ultra-strong composite leading edge with bi-ax wrapped propeller tips. To order add $30.00 to each blade. You may call us at (405) 279-3833 to place an order, fax us at (405) 279-2377, or send us an e-mail with all the requested information.